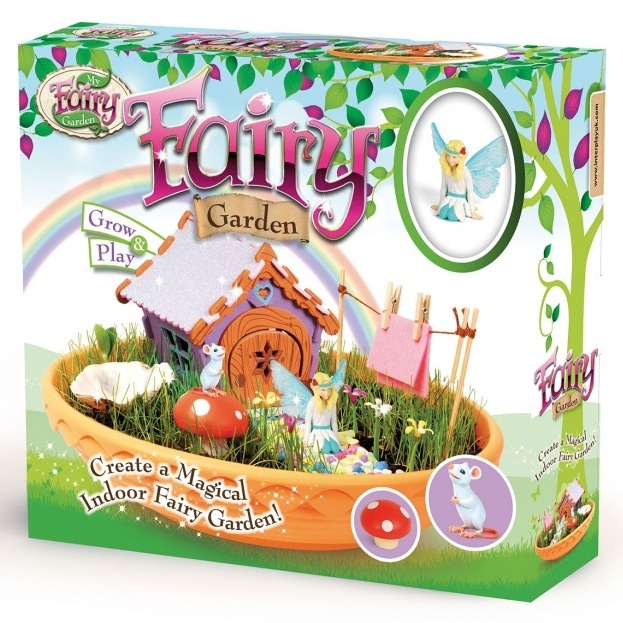 The Brick Castle: My Fairy Garden Giveaway from Interplay. 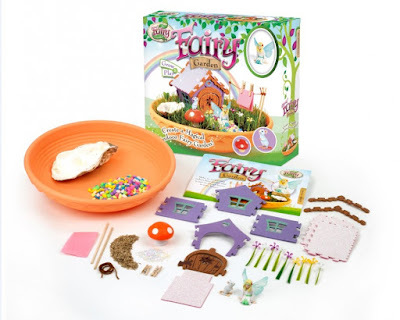 My Fairy Garden is one of the Craft Box range of kits from Interplay, and it's an award-winning best-seller for children aged around 4 and over. 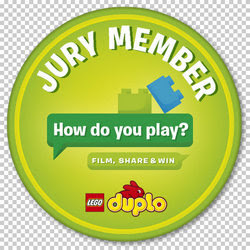 There are 5 different products that combine small world play with growing live plants. 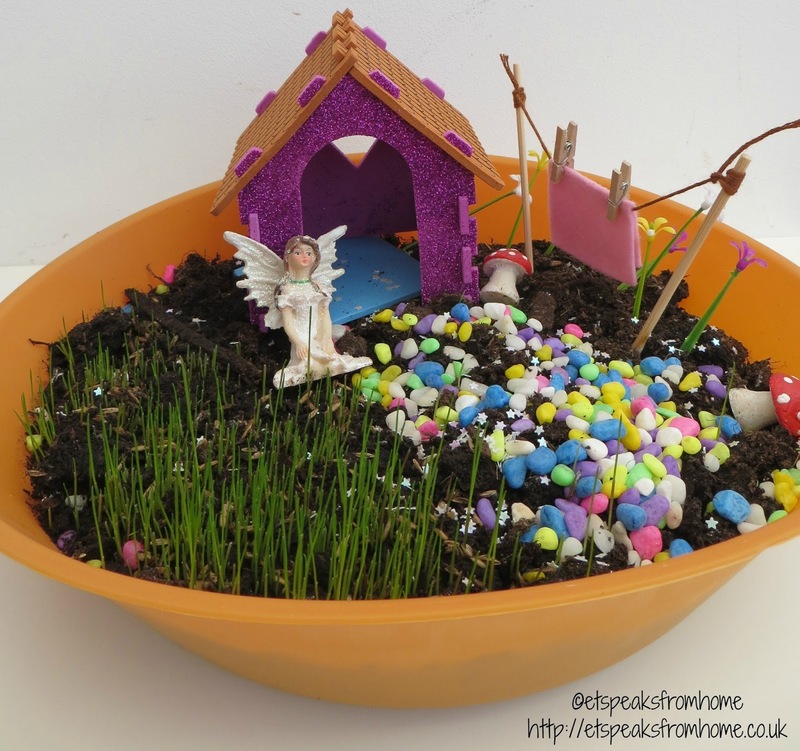 Your child will be learning science while creating their own unique Fairy Garden. 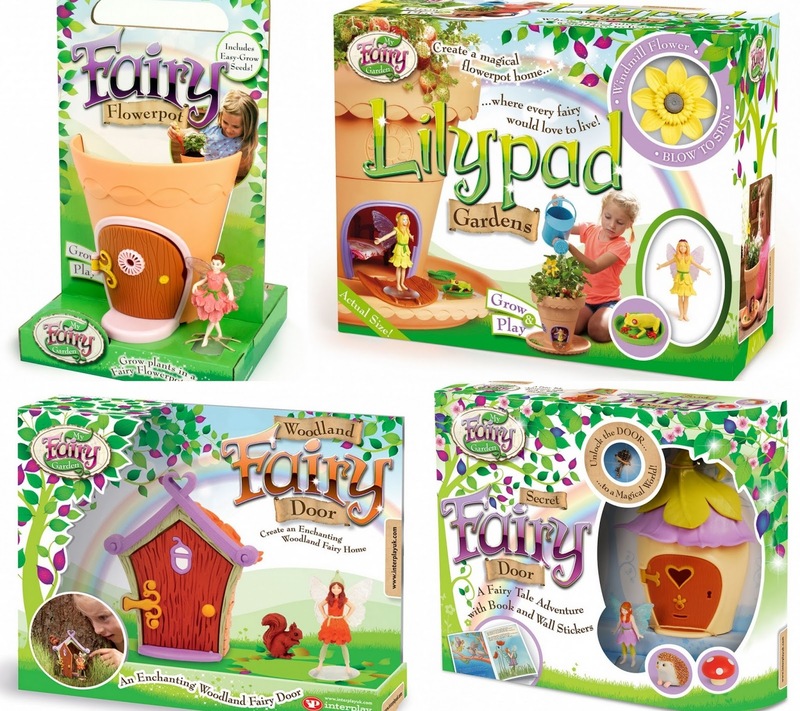 As well as the Fairy Garden itself, the other products in the My Fairy Garden range are the Fairy Flowerpot, Lilypad Gardens, Woodland Fairy Door and Secret Fairy Door. Eileen over at ET Speaks From Home reviewed the My Fairy Garden, and here is what her children's finished garden looked like. They did an awesome job. 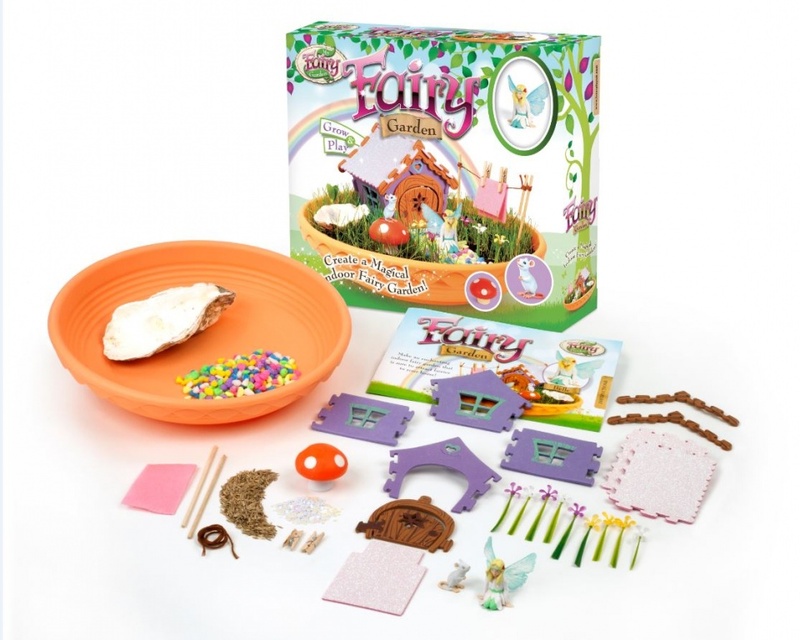 My Fairy Garden sets cost from £9.99 to £19.99, the Fairy Garden set is £14.99. 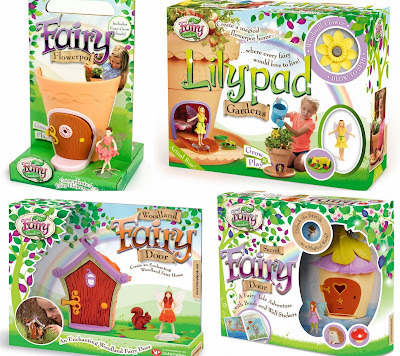 All sets except the Lilypad Gardens are available now. Lilypad Gardens will be available from later in March 2016. 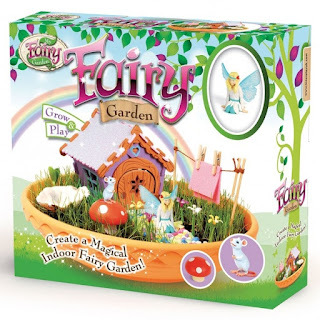 For your chance to win the award winning My Fairy Garden 'Fairy Garden' please enter using the Rafflecopter giveaway form below. 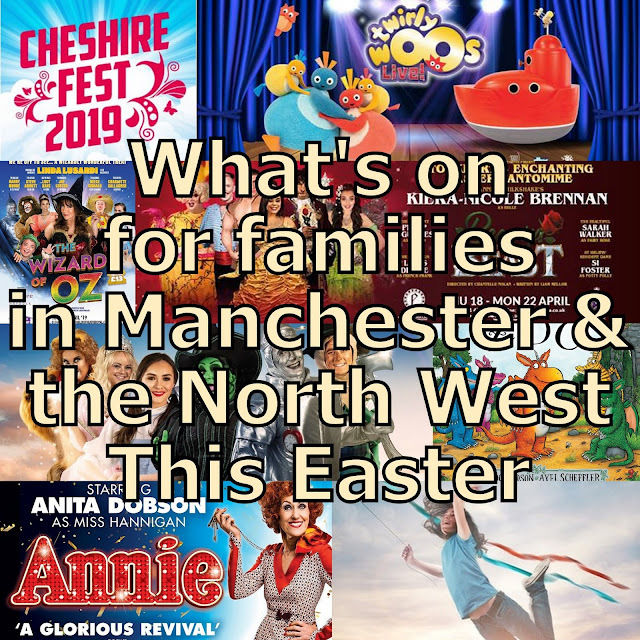 No entries are mandatory, and there are extra entries for people who subscribe to the Interplay Newsletter (which is sent out around 6 times a year). 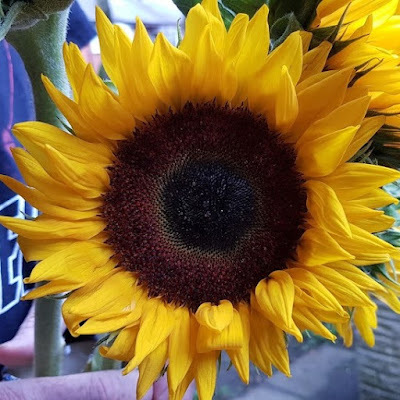 UK entries only please, please see the terms and conditions at the bottom of the Rafflecopter form. 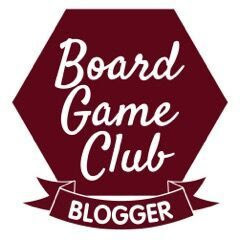 This giveaway ended at midnight Sunday April 3rd 2016. Our fairy would be called Tinkerbell and she would weat mainly pink! Tink in green just like the real tinkerbell! my fairy would be called Poppy and her dress would be purple. My fairy would be called Sparkle and would wear a shimmering sparkly tutu! She would be called Jasmine (my daughter's name and a pretty flower) and would wear purple (one of my favourite colours). If I had a fairy garden my fairy would be called Eleanor, like my daughter, and she would wear pink, which is Eleanor's favourite colour. My fairy would be named Tigerlily and she's dress in orange and yellow tiger stripes! I would call the fairy Fifi and dress her in gold and silver. A little yellow dressed fairy called 'Daffodil'. My daughter would prob name her justice and she would be a ninja fairy! all pink leathe and lace and of course lots of sparkles! Arabella and she would wear pink. My daughter would call her Lula and she would wear pink!! Pink, and I'd call her "Pretty", as she would be Pretty in Pink. my fairy would be called violet and she would love to wear violet shades. Trixie and her dress would be yellow! Pink McPinky, as I really hate the colour pink, so my fairy would embrace it! My fairy would be called Amethyst and she would (surprise, surprise!) be dressed in shades of purple. Lilac, and she'd wear purple. Willow Yewshimmer, She would wear green sparkly dress, and have yellow wings. My fairy would be called Princess Morrigan. She would wear a crown and carry a wand. Her wings would be sparkly with 'diamonds' and she will wear large pearls over her sparkly superperson (depends on she is feeling which superhero!) costume which will be red and blue top half and tulle skirt in purple. 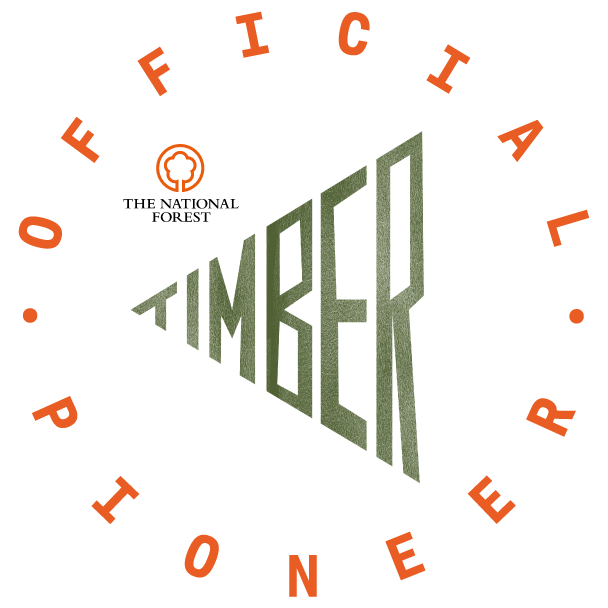 The best way to dress. Sparkle and wear a coral glittery dress! She would be called Twinkle and she would be dressed in a light blue twinkly dress. Queenie dressed in red, white and blue! Myridia, and she'd wear magenta. My fairy would be called daisy and would be wearing a daisy chain, with daisy chain shoes. I would name it Jess after my daughter & it would be orange. Princess Sparkle and she'd wear Pink of course!! Rosie (Because that's what my daughter calls every girl when playing), she would wear pink most of the time (daughter's favourite colour).